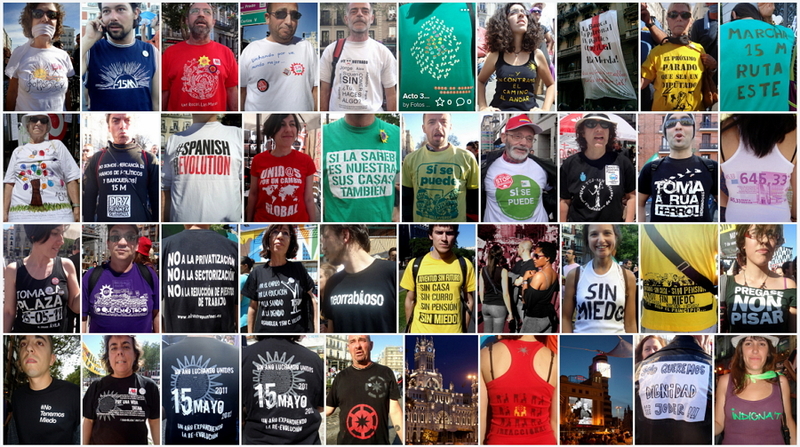 In May 2015, the new municipal coalitions which had emerged from the street-level movements in Spain were successful in a number of large municipal elections including victories in some of Spain’s largest cities, such as Barcelona, Madrid, Valencia, and A Coruña. The path of these citizen-led parties traces back to reactions against the failures of Spain’s post-Transition bipartisanism, and their victories indicate a shift in mindset, culture, and power. These new, municipalist “non-parties” are outgrowths of the 15M indignado movement and “las mareas” (tides), citizens’ initiatives around housing, health, education and culture. They build on prior political traditions of self-management and governance, while also drawing influences from the degrowth, commons, ecology, free/libre and P2P movements, and applying mindful use of technology and media. But these municipal platforms are not solely designed for local citizens.They must form part of a multi-level structure capable of operating at the national and transnational levels. To make this happen, the municipal platforms coordinate among themselves and beyond. They aim to present viable political alternatives that channel the rising resistance to recent right-populist political developments such as Brexit and the election of Trump. Keenly aware of the masculine style of typical political rhetoric and its implications, the movements in Spain have been working to feminize their discourse and encourage more and better participation. Bringing others into the platforms depends on an ethical code, designed for open participation and the encouragement of real politics with people creating their own platforms – implementing radical democracy. Participatory conversation creates political change, and the feminization of politics is not only about the political work itself; it also means a change of style. Crucially, each of these new municipalist coalitions has based their work on their “codigo etico”, the ethical code which shapes everything they do in the platforms’ participation in institutions. This ethical code is developed from existing experiences, and acts as both the glue and the attractor for participants. Much like Open Cooperativism demands a statutory orientation toward the common good, ethical codes like this can form the kernel of a set of political guidelines to be hard-coded into commons-oriented coalition principles, bringing fresh accountability to contemporary politics. All the municipalist players from the Spanish territory are working multi-scale (local, national, regional, and now in international dialogues). These coalitions are non-partisan, though inclusive of established political parties, turning them into more multi-stakeholder structures rather than verticalist parties. They all want to end the isolation presently perceived at the city level, merging more towards an ideal of the “networked rebel cities”, mirroring again the locally embedded but globally networked practices of P2P economics. The lexicon and practices of commoning are evident in how the coalitions have formed and are articulating their governance. With a focus on transparency and citizen participation, and taking advantage of open-source P2P technologies, they prefigure many aspects of the politics of the future. The challenge ahead is applying the network logics which have been so successful in Spain to recover the intrinsic power of Occupy and build resilient, feminized and ethically coherent, transnational political movements.